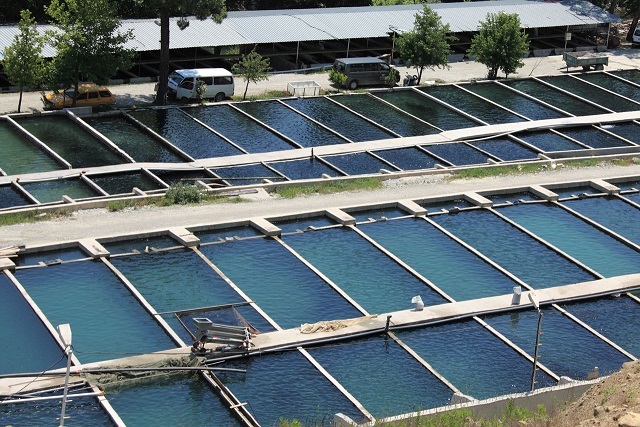 prevent Algae, Barnacles and Lice in Fish Farms | Efficient Sonics Ltd. The Efficient Sonics Fish Farm Buoy range of products have been specifically designed to provide strong and effective solutions to the multiple challenges facing the modern fish farmer. These include preventing marine fouling, and the reduction of sea-lice parasites on and within cage nets, without using chemical means. The Efficient Sonics Fish Farm Buoy is a high power, fit-and-forget, device for sonificating the upper layer of water in a circular fish cage to prevent the growth of marine fouling species and parasites around the top-layer and circumference of the net. In addition, ultrasound is also projected downwards from the buoy to ensure that the fish in the lower layers of the net likewise remain protected against parasites . When deployed, the buoy is tethered with ropes to ensure it remains floating in the centre of the fish cage. The buoy is mains powered, built of robust construction, fully waterproof and intended to be left alone with no maintenance during use. The Efficient Sonics Fish Farm Buoy emits a high power ultrasonic signal into the upper layers of the water in the fish cage. The signal spreads radially from the buoy at a depth of 1.5m to ensure that the top edge of the net is kept free of fouling and to destroy any parasite larvae which may be present in that layer of water. In addition, the ultrasound signal is projected downwards in the shape of a cone, to reduce the incidence of parasites on fish at deeper levels in the cage. The ultrasound waves emitted are of particular frequencies known to be disruptive to marine fouling and parasites, however, they are completely harmless to fish and to your staff who work in the vicinity. 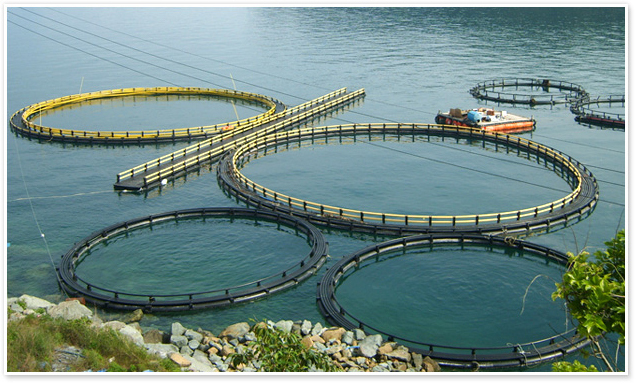 The Efficient Sonics Fish Farm Buoy is effective and cheaper to run than chemical alternatives. It is also safer, as many of the traditional chemicals used contain copper powder, herbicides and fungicides, which are extremely harmful to the environment.